DOA. Just look at the trailer. Not that bad, actually. And in hindsight. Not terrible, but no real direction either. 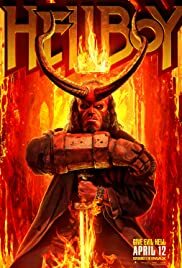 If Guillermo del Toro had got to do Hellboy 3. Monty Python? May contain spoilers!! Everyone hated working on the film apparently. Do you think Hugo Weaving could pull off Hellboy?